I’ll be the first to admit I’ve never really been a fan of co-sleeping. I value those precious few hours of sleep in my own bed too much to have to share them, even with a beloved newborn. Plus, all the safety tips about co-sleeping state that you shouldn’t share your bed with baby if either parent is “excessively tired”. Let’s face it, when is any new parent not excessively tired? But this new co-sleeper from Bednest is pretty close to converting me. Safety tips aside, the benefits of co-sleeping (especially for breastfeeding mums) are well known. There’s no padding down the hallway in the middle of the night to pick up baby, no sitting in a cold room to feed while you try hard not to fall asleep followed by that interminable period of settling before you finally make it back to the comfort of your own bed. There’s evidence as well that co-sleeping goes some way to preventing SIDS and that it helps bonding between mothers and babies. And then there’s the convenience and comfort of having your baby nearby to settle. We’ve featured some lovely co-sleepers in the past but on the whole, options for parents choosing to co-sleep are not so great and many parents resort either to sleeping with baby between them (and hoping not to roll over on him) or putting their mattress on the floor – neither very attractive options. The Bednest solves all these problems for about the same price as a ritzy bassinet. 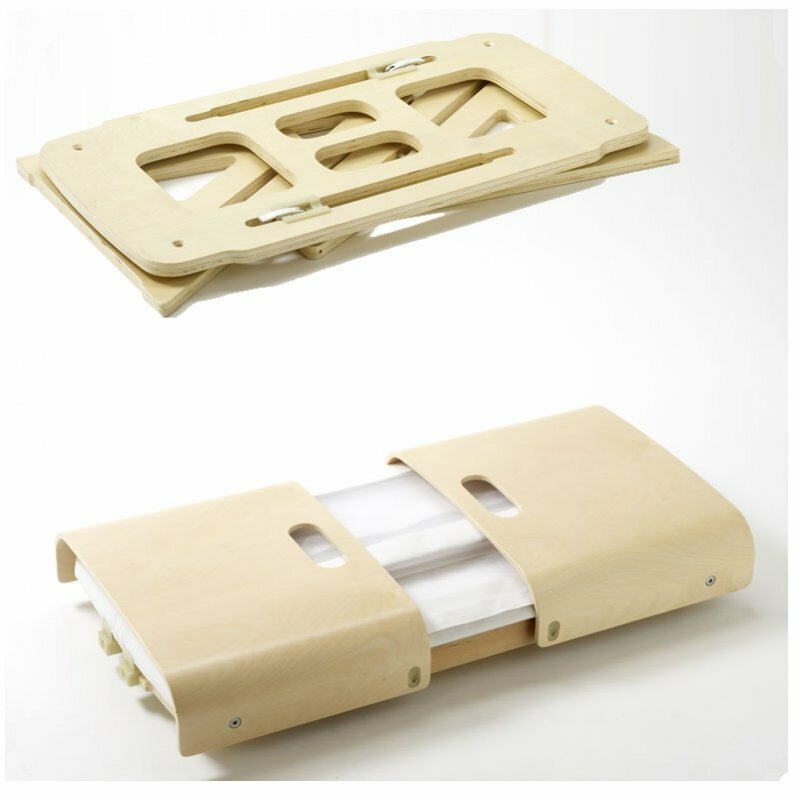 It is height adjustable, clips onto the side of the bed, packs flat for easy transport (so you don’t need to take a portacot on holidays!) and even has sides which can be adjusted up or down. 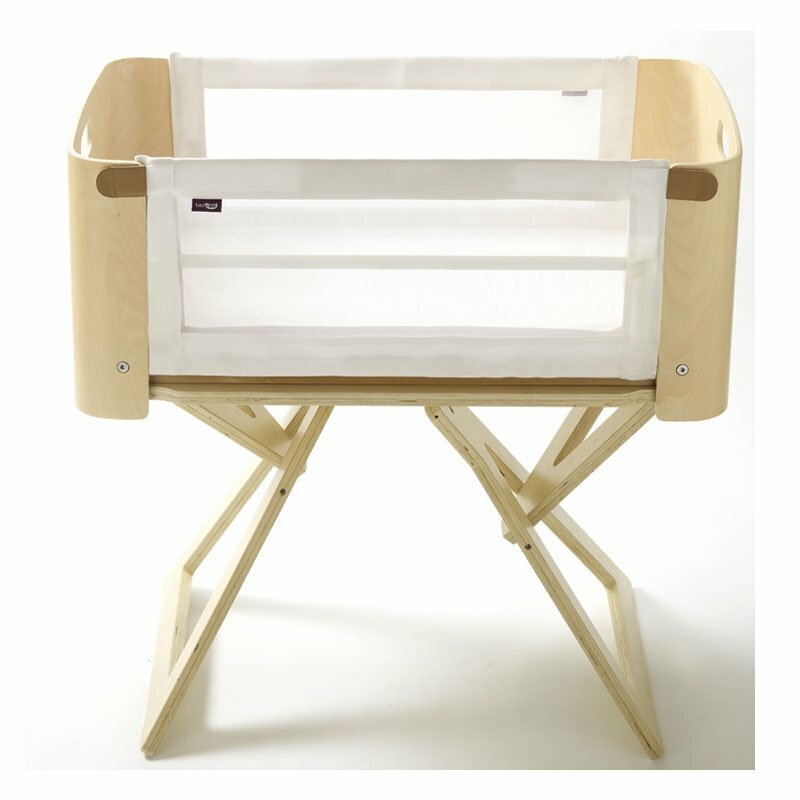 This means you can use the Bednest as a separate bassinet and your baby can keep using it until he can sit unaided. I suspect this may make the transition from co-sleeping to a bed (or room) of their own even easier. The Bednest is a brand new product and will be shipping internationally from the second half of March. The complete setup (including mattress, carry bag, crib and stand) will set you back £199 and you can buy online here.